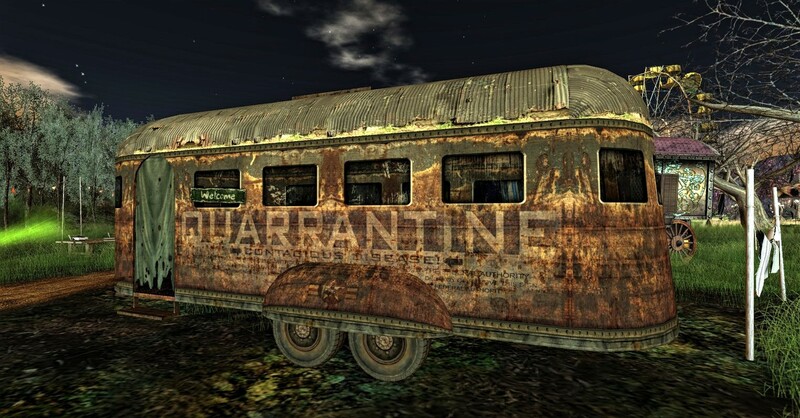 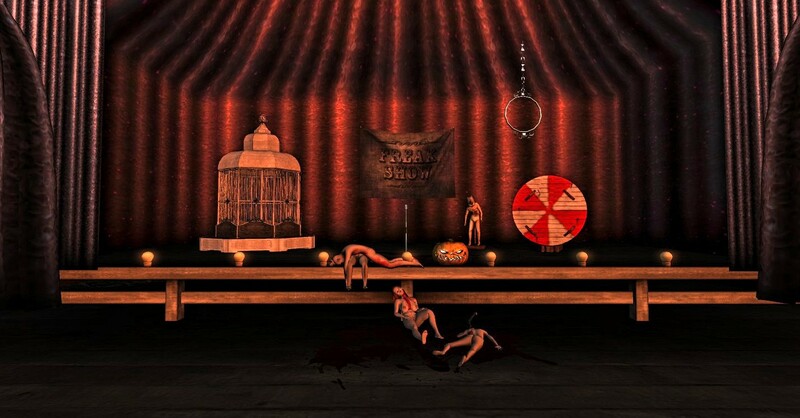 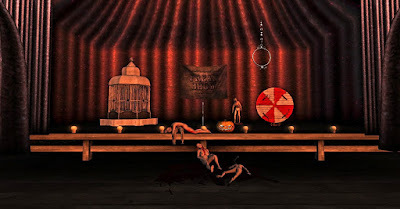 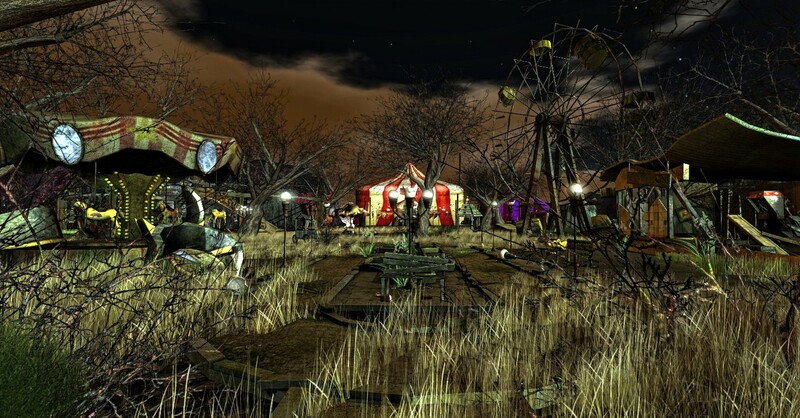 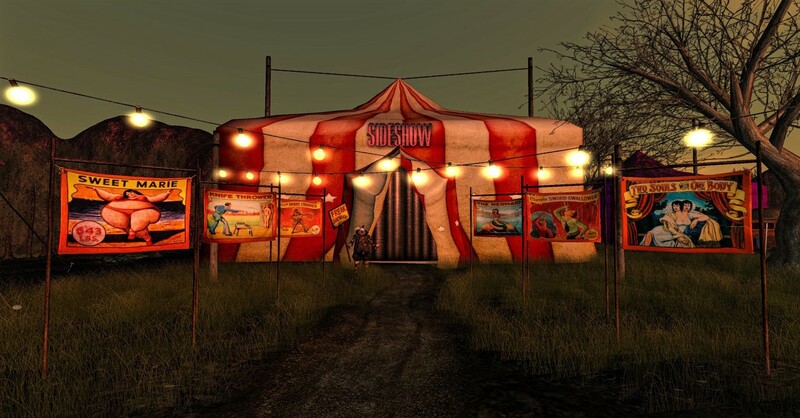 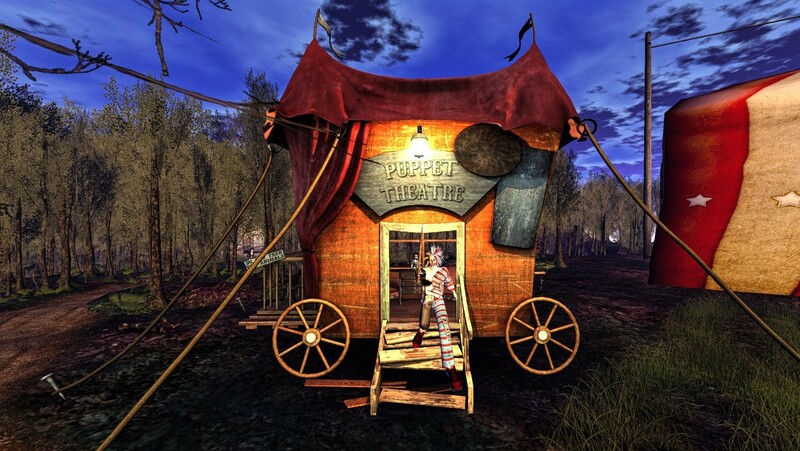 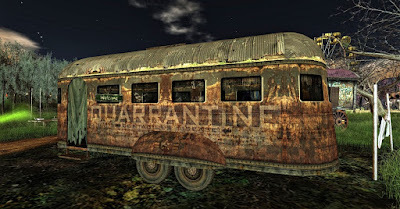 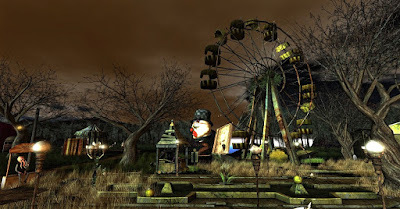 Tappanga Bellic's Disturbia is home to a creepy abandoned carnival which has witnessed both mass murder events and gruesome medical experiments. 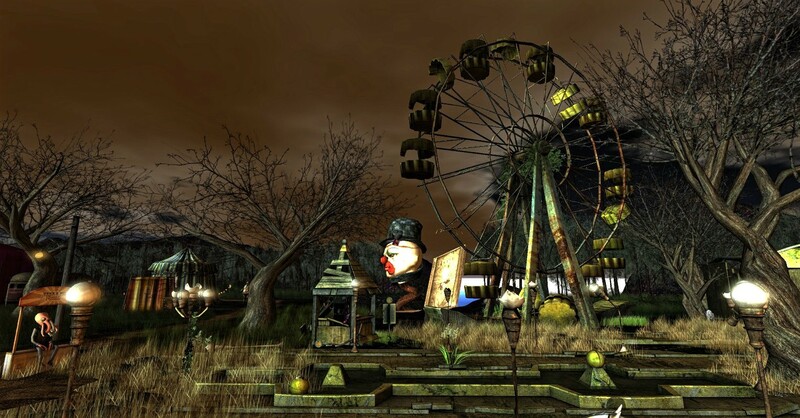 Attempts to take down the rusted remains of the carnival have been made- but always abandoned. 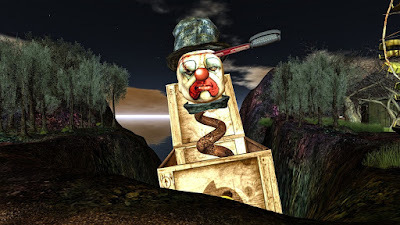 It seems that a particularly nasty axe-wielding evil clown runs amok and attacks anyone who dares to clear anything away. A haunted house located in one of the corners of Disturbia opposite the landing point with violent interior scenes also be visited. 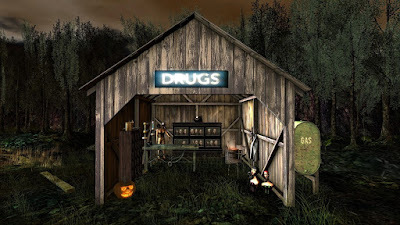 Make sure to turn up sound in your volume control to get the most out of your visit to this highly recommended destination for Halloween 2015. 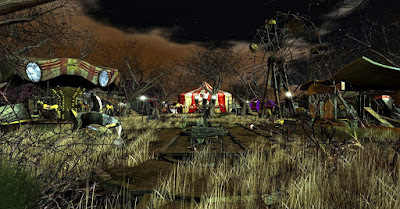 The top seven photographs were taken with Windlight Sky Setting "TOR" Dusk Fairytale Glow which comes as a standard option under advanced environmental settings in Firestorm and other viewers. 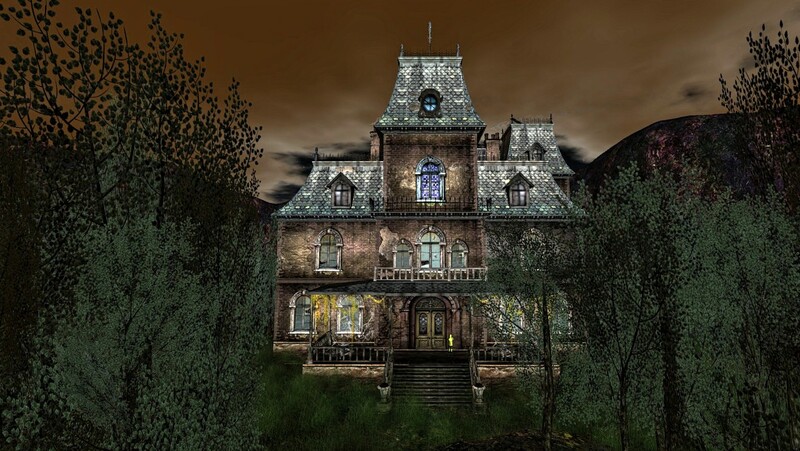 I like Fairytale Glow for its eerie early evening light and darkly clouded skies.